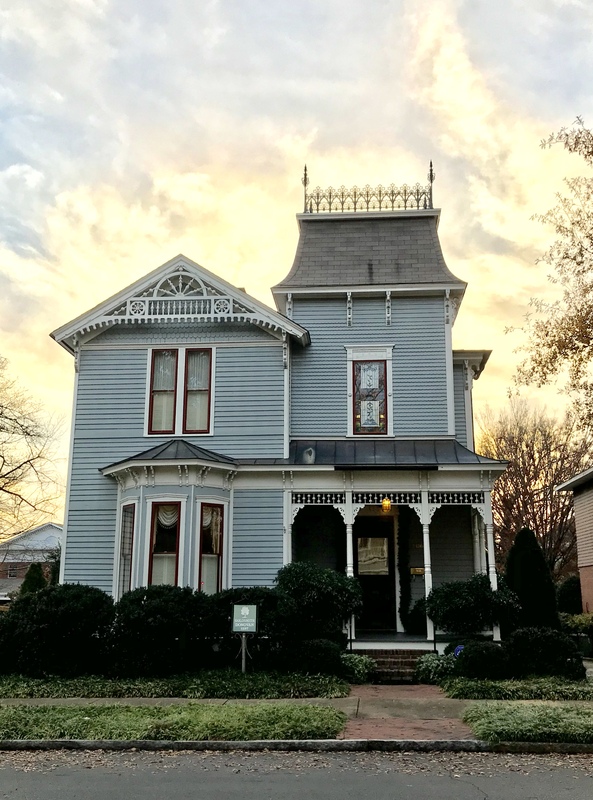 Being partial to Victorian-era architecture, I became utterly captivated by the c. 1887 Goldsmith-Donovan House when I started working for the City of Huntsville. Originally a modest, two-story cottage, this Italianate-style dwelling has been altered many times over the years. These transformations represent what is so fascinating and unique about historic architecture: They tell a visual story about people and events from our community’s past using craftsmanship and style that cannot be replicated by modern construction. 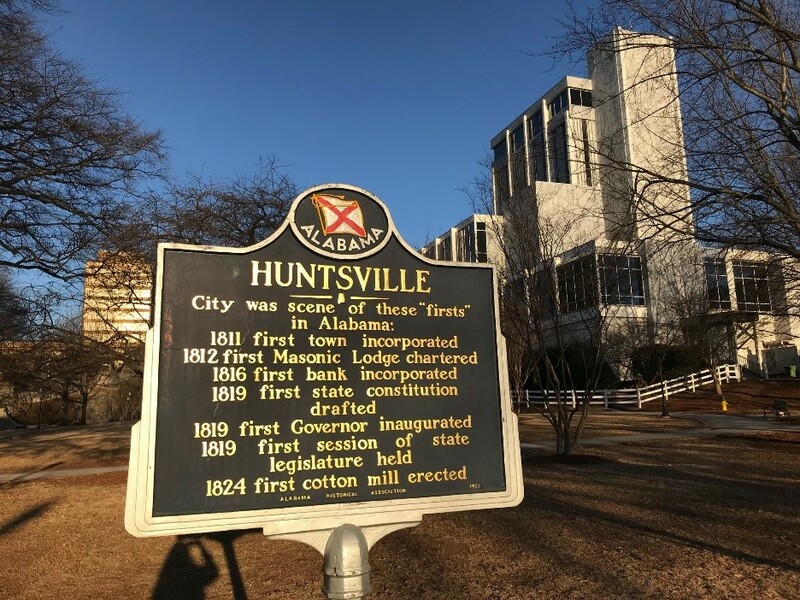 I would recommend talking a walk or bike ride through any of our lovely historic districts to fully immerse yourself in Huntsville’s history. The main sanctuary of this church is one of the finest examples of Gothic Revival architecture in the South. I’ve been to recitals and services in this sanctuary, and it is truly a divine space. Its prominent steeple is one of the most recognizable features in the Huntsville skyline. Sunset is a great time to view the church while walking through the Greene Street Market on Thursday evenings. I spent a lot of time here when I first moved back to Huntsville and began volunteering with the Historic Huntsville Foundation. It has operated on the courthouse square since 1897, and still retains its original counters, display shelves, wood floors and fixtures. 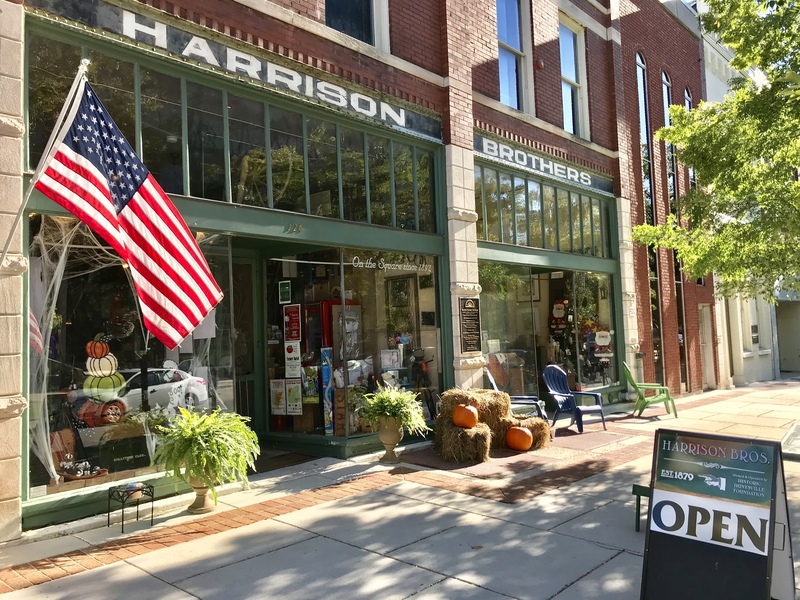 Not only is it a great place to shop local and support the preservation mission of Historic Huntsville Foundation, the store also offers historic tours. It’s one of the most beautiful sites in all of Huntsville. Maple Hill is the oldest and largest cemetery in the city, with graves dating back to 1820. 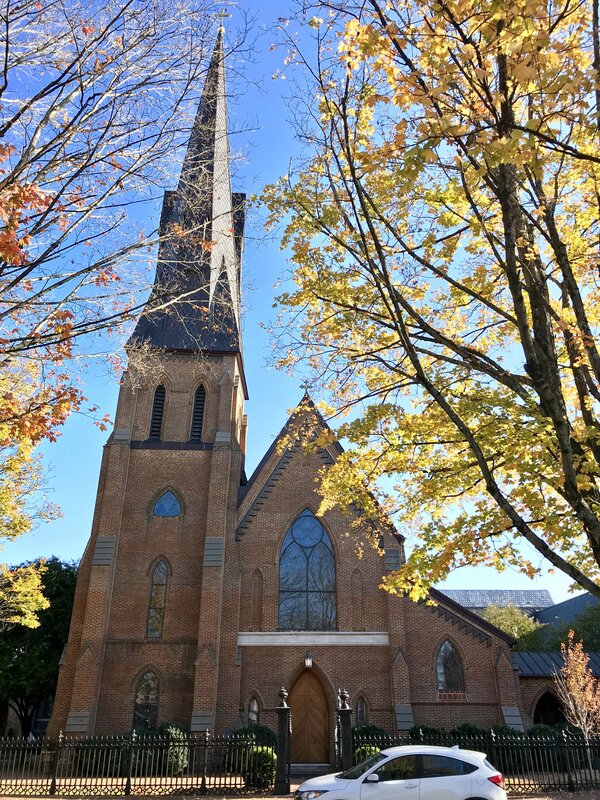 Fall is the perfect season to take an afternoon stroll and see all of the amazing restoration work by the Huntsville Pilgrimage Association. 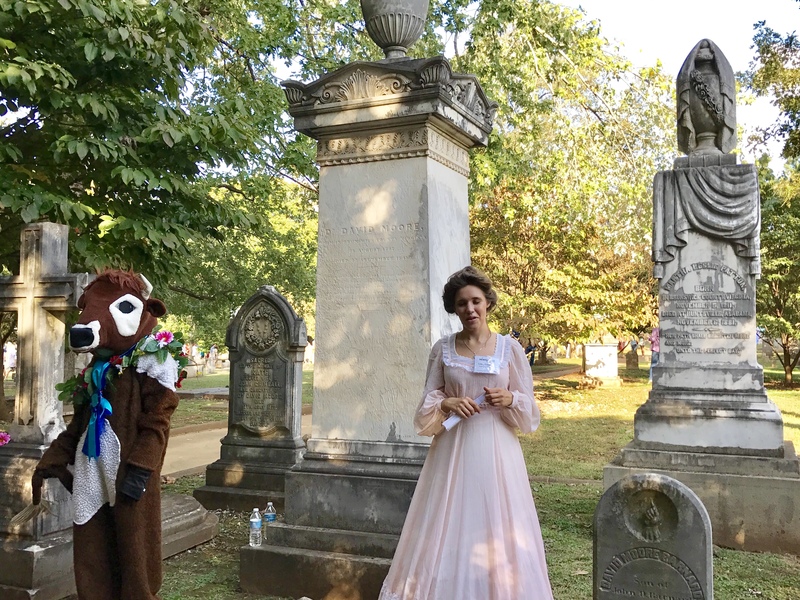 You don’t want to miss the Maple Hill Cemetery Stroll on October 21 from 1:30pm-4:30pm! Lowe Mill is one of the most creative and successful examples of historic structure adaptive reuse in Huntsville. 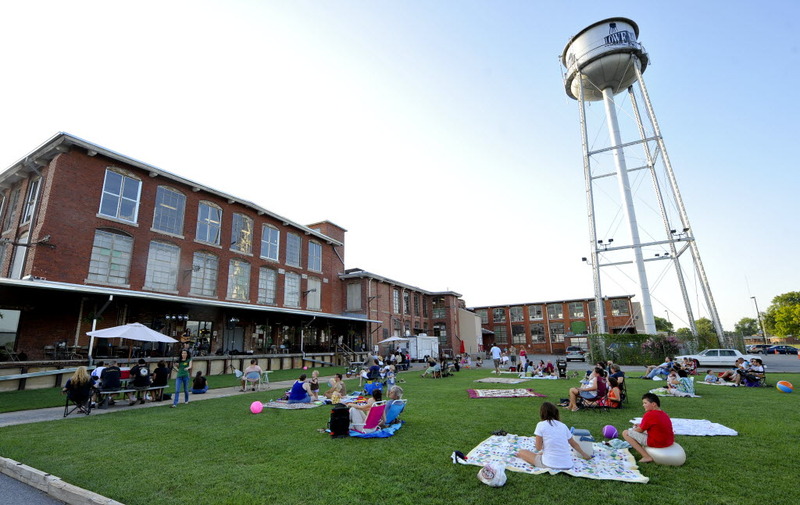 Built in 1901 as Huntsville’s fifth cotton textile mill by the Lowe Manufacturing Company, Lowe Mill was redeveloped into 148 working studios for over 200 artists and makers, six fine-art galleries, a multi-use theater, and performance venues beginning in 2001. The creative energy flowing through this space is inspiring and so much fun! The events calendar at Lowe Mill shows exciting things to do every weekend.